Refreshingly floral in spirit and scent, there’s a burst of strawberry in every spritz. Feminine notes of jasmine and tangerine intersperse gently with the musky base. An alluring beige glass bottle is nestled in a lovely leather pouch, signed off with a bow. Stunner is all about lillies. It has a vintage vibe to it, like expensive makeup and rose dusting powder. 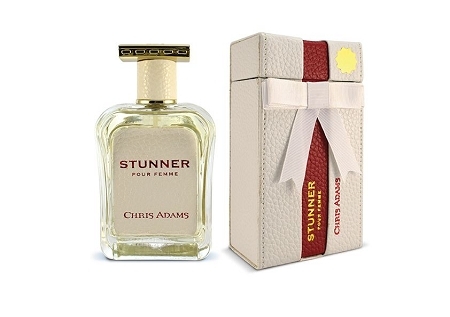 But if you love the smell of Easter lillies and other white florals, you will adore this fragrance. I got zero fruityness, it's all flowers to my nose, thus 4 stars instead of five. It also has REAL oakmoss extract in the ingredients list. Long-lasting on me, and very classic "femme". I'm excited to try more from Chris Adams!